One of the most admired homes in one of the most sought-after neighborhoods in T/E. Lovingly maintained, expanded and renovated, this custom home has been thoughtfully designed for comfortable living and gracious entertaining. 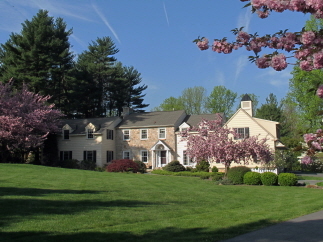 Set beautifully on almost one acre with slate patios and mature plantings.